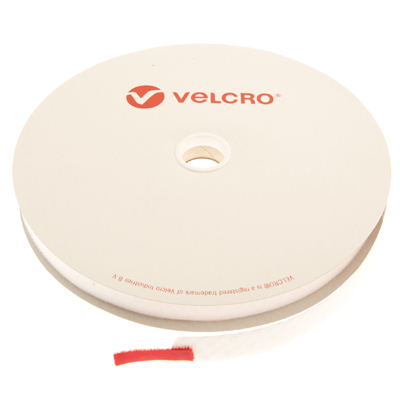 This 10mm wide premium VELCRO® Brand Hook PS14 self adhesive tape is guaranteed VELCRO® brand. The hook and loop are supplied on seperate rolls, so if you need the loop side please see below. 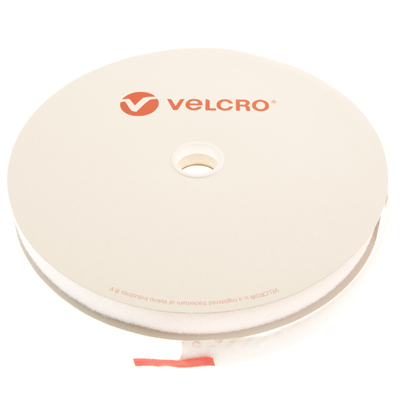 This premium industrial Hook and Loop adhesive tape is manufactured to the highest standards, simply 1000s of uses around the home, office and workplace, widely used on boats, camping and in the clothing industry, White Self Adhesive hook and loop fastener. 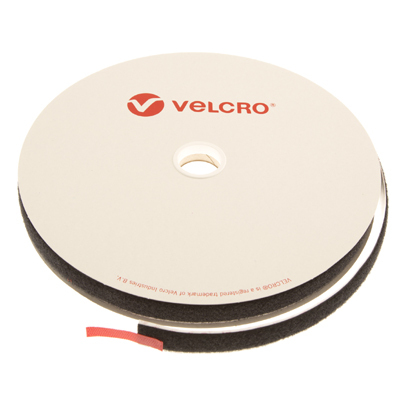 Self adhesive hook and loop tape consists of a premium grade hook and loop tape with a synthetic rubber and resin adhesive solution applied to the backing to give an unbeatable instant bond (excluding PVC, wallpaper or fabric). Before applying, please ensure that the surface is clean, dry and free from grease and dust and that the surface is sound and smooth, flakey surfaces will reduce the adhesion. Place the hook or loop on the surface and press on firmly leaving for approx. 5 minutes before use, the bond will fully cure and reach its optimum strength after 24 hours.  Strong adhesive coating you can rely on.  Simply peel off the backing paper and apply.